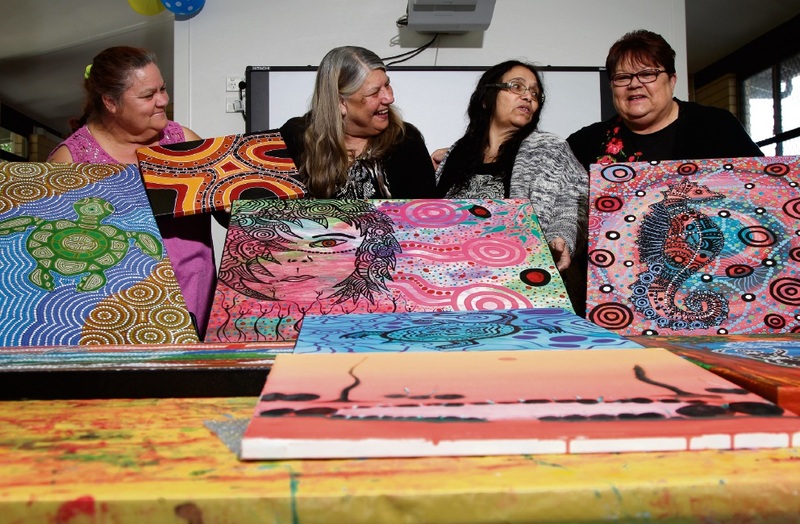 Addellamay Ryder-Bartley, Jill Abdullah, Catherine Bynder and Raelee Cook discussing last-minute preparations for the LAA’s NAIDOC Week art exhibition. LANGFORD Aboriginal Association (LAA) believes Naidoc Week is the perfect time for people to come together and embrace Aboriginal culture. The LAA, which is running several events throughout Naidoc Week, which runs from July 2-9, believes it should be an opportunity for people to further their knowledge of Aboriginal culture. LAA manager Jill Abdullah said there was a lack of education surrounding Aboriginal history and culture available and as such, Naidoc week was the perfect chance for people to learn more. “Naidoc Week is a celebration of Aboriginal culture and sharing that with the broader community, celebrating out culture in a very positive way, and also showcasing Aboriginal things, organisations and cultural activities,” Ms Abdullah said. “There’s a black history and there’s a white history and the black history seems to be forgotten about in the education curriculum and if that could be incorporated there could be a true process of reconciliation. Ms Abdullah said this year’s Naidoc Week theme, ‘Our Languages Matter’, was “very relevant” as more and more people were trying to keep the numerous Aboriginal languages alive. The LAA and their members will be involved events throughout Gosnells during Naidoc Week, including an art exhibition from July 4-7, Aboriginal storytelling from July 4-7 and a community breakfast on July 9. For more information on the events, see the City of Gosnells’ website http://www.gosnells.wa.gov.au/Home.